When I surf the web looking for walls, that particular size is pretty few and far between. What kind of display setup do you have? 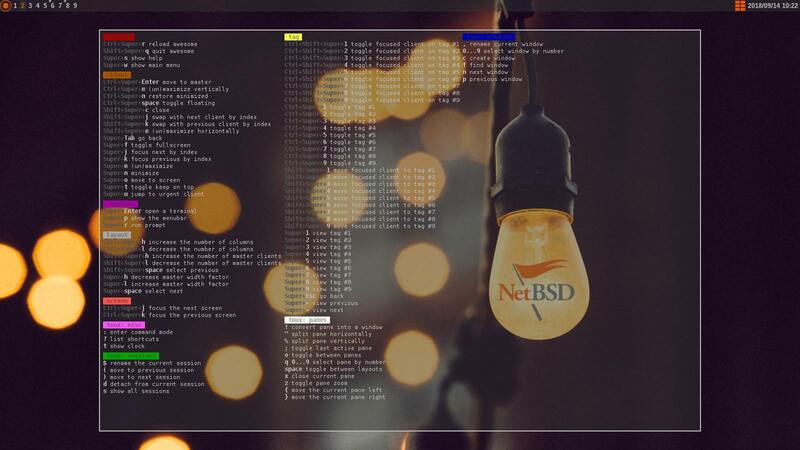 Have you even considered the possibility of using a tiling window manager? Use Mod4 + w and you get the menu wherever you are at the moment. Use Mod4 + Enter to open the terminal and Mod4 + w then arrows and Enter to open your file manager. My Conky script is used on all 7 continents, and has been documented ad nauseam on the web. It's a bit of a pox, actually, and I don't discuss it here, as users would quickly flood the site with questions and wrestle away control. And, yes, there's a method to my madness, regarding the layout and configuration of my monitors, but nobody but you has ever noticed, nor asked about it. In short, the things I'm involved with, both personally and professionally, require multiple desktop machines, a laptop, and two operating systems - Linux and winders. The desktops boxes that I use the most often (and the display tree) are tied together via a KVM switch. Thus, only requiring one keyboard and mouse. I use the same layout in Peppermint and '10', however, only one of my boxes is capable of driving three diplays, so I always use the bottom-right VGA monitor as the 'master cylinder', if you will. That way, I can work two desktop machines at the same time - with three monitors - and a single keyboard and mouse. It does. I'm a transcriber so I type a lot and I mouse a lot just in normal computer usage. I used to get severe wrist pains/probably the start of carpal tunnel syndrome but I've got one of these (a memory foam Kensington wrist rest) which solved the problem completely for me. I'm using a tenkeyless keyboard so the right-hand bit of it does my mouse wrist as well.